The churros are nothing special. They are much softer than the theme park cart variety, but what makes them at least enjoyable is the dipping sauces provided. Separately, the Vanilla Crema and Strawberry Chili sauces are not remarkable flavors, but mixed together we found much better results. If you think a vanilla-strawberry-chili flavor sounds good, than these are at least worth ordering once. Is this better than the Taste of Tiffins dessert that is no longer offered? No. My guess is that there sales for the dessert were not very high, so they went with something that more theme-park-goers would understand and maybe be excited to try. While this is a slight downgrade, I still stand by that Nomad Lounge is one of the very best bars in all of Walt Disney World for their drink menu alone. It’s for sure the absolute best in any of the theme parks. Sure, there are a few good small bites here as well, but the drinks are the main event. Why must this site and others continually promote establishments on Disney property that serve alcoholic beverages? It goes against everything that Disney stands for, and I find it quite unsettling. The parks have become a haven of drunken louts that create an unsafe and unpleasant atmosphere. Not true you A hole, just go away you troll. I find your reply to show that you are the true A hole here. I see no issue with giving an honest review of the many dining establishments at Disney. Doesn’t matter if they sell alcohol or not. We have the right to know if it is worth our time and money. You honestly believe that second hand smoke is worse than public intoxication? I am certain your opinion will change next time you are sitting at the bar at The House of Blues, and two neanderthals engage in a drunken altercation and one misses striking his opponent and accidentally buries his fist into your dougy midsection. I too detest smokers, but I am aware that there are greater threats to my well being. You won’t find me sitting in or near a bar, ever. I’m sorry someone sucker punched you at House of blues though. Not fun. The new security procedures around the monorail resorts will cut down on the drunks monorail bar hopping, at least I hope. And yes, second hand smoke kills. I’ve experienced tragedy first hand from it. I also detest cretins that seek to judge me based on comments made on this site. Please save your judgements to those you see as inferior to yourself, which is typical of the average nasty Trump voter. could not agree more! Alcohol has no place is Disney world. If people want to drink don’t go to disney. Disney is magical and doesn’t need Alcohol! Hear hear! I’ll drink to that, alcohol is magical and doesn’t need Disney! 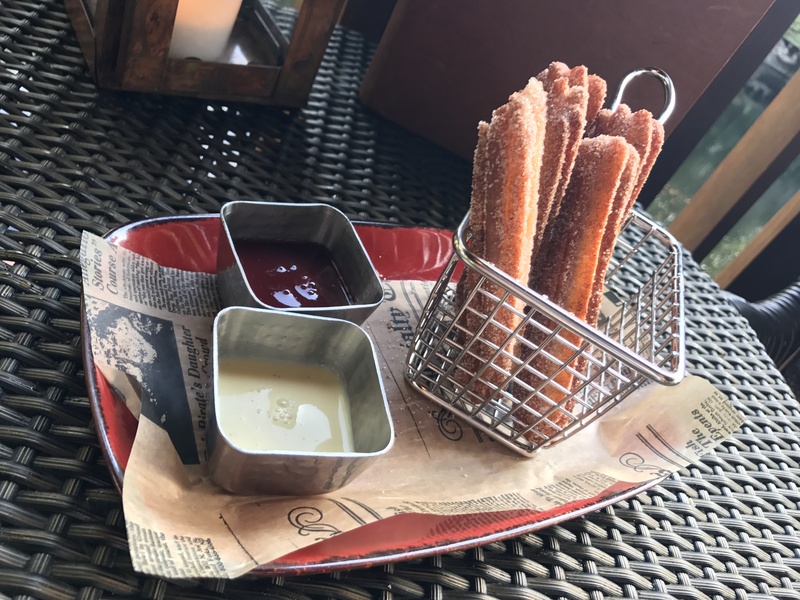 Churros around Orlando, not just Disney, are an offense to what a churro is. What you find all around Orlando theme parks and their periphery it’s an overly think, hard, cardboard like monstrosity that should be barred from the face of the earth. Fun fact the churros are gluten free so if someone is looking for a delicious gf option the churros are the way to go!! So that’s why they taste like cardboard.